Let’s assume heterogeneity, decentralization, and fractionality are key aspects of contemporary networks of communication. 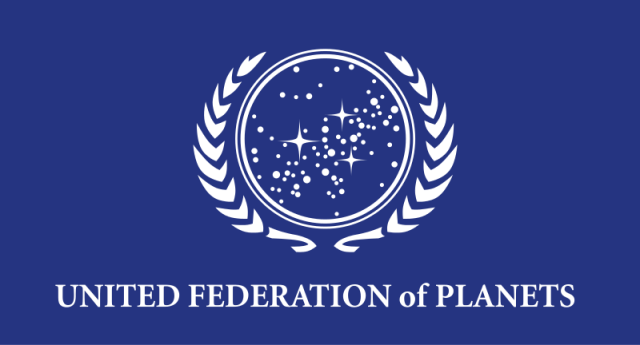 Before exploring this further, I’d like to begin with an excursus on a well known "logo" — the flag of a fictional interstellar federal republic in the Star Trek media franchise — the United Federation of Planets, usually referred to as the Federation. What we see in its core, we might call a cartographic snapshot frozen in time; it’s a map of the stars showing us a location in the Alpha Quadrant. Indeed networks (of planets, stars, or alliances) could be represented like this, especially when they demarcate a territory. It has a centre and a periphery that is neatly encircled, supposedly dividing the outside form the inside, the metaphorical non-borg from the Otherness of Borg. While delineating fortifications are part and parcel of the plot, as much as the "Neural Zone" is, we end up with a centre in San Francisco/ Paris on Earth, Sol System, Sector 001, AQ. I have to admit, I am a fan of Star Trek and the brilliant stories that have emerged from it, but I’m also aware as a philosopher that many aspects of this science fiction universe are partly influenced by modernist thoughts. 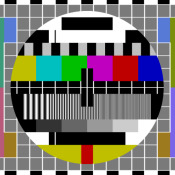 The flag is emblematic of this; it prescribes a programme directly aligned to modernism that arose from the transformation of Western society during the late 19th and early 20th century. I refrain here form a lengthy discussion on modernism, instead I will offer a counter perspective that we may call minimalism . This is an anti-essentialistic perspective and stands for perpetual processes, with things constantly moving, constantly transforming into something different. It is like the code of Friendica or other sensible software that is continuously (and sometime contingently) re-written, adapted, modified, as things develop. Likewise nodes or instances continuously come online, some may disappear with their own distinct Red or Yellow Alerts, without directive or control from HQ. In this view, we have a network assemblage without concise beginning or ending, without centre or periphery. It is a network that is fractionally complex by consisting of partial and incomplete connections across space. Maston and Diaspora for example are compatible with Friendica, but they are of course not identical. Connections to commercial services are even more partial and fractional. This is heterogeneity that is typical of partially connected orderings that can be benevolent or vicious — we may recall the "toxicity" some have observed on Twitter recently, or the elements of banter and constructiveness in diverse Friendica communities. Either way, whatever logo The Federation of open-source social media projects adopts, it might be worthwhile to further explore underlying principles that inform our projects and infrastructures in such a design process. It might also worthwhile to recall what we are trying to leave behind or not to be. The example of an abstract representation of Newton’s cradle, I provided in earlier discussions, were not meant as an attempt of an actual logo, but a thought-provoking representation that entails movement without a centre-periphery duality. While it clearly falls short of heterogeneity and fractionality, it may spark some further discussion and exchange of ideas. Kapala! Live long and prosper! Yours truly!